On Tuesday, January 12th, 2010, at 4:53pm Haiti experienced a 7.0 magnitude earthquake just 16 miles West of the capital of Port-au-Prince. By January 24th, at least 52 aftershocks measuring 4.5 or greater had been recorded. An estimated 3 million people were affected by the quake and the death toll was somewhere between 100,000 to 160,000 people. 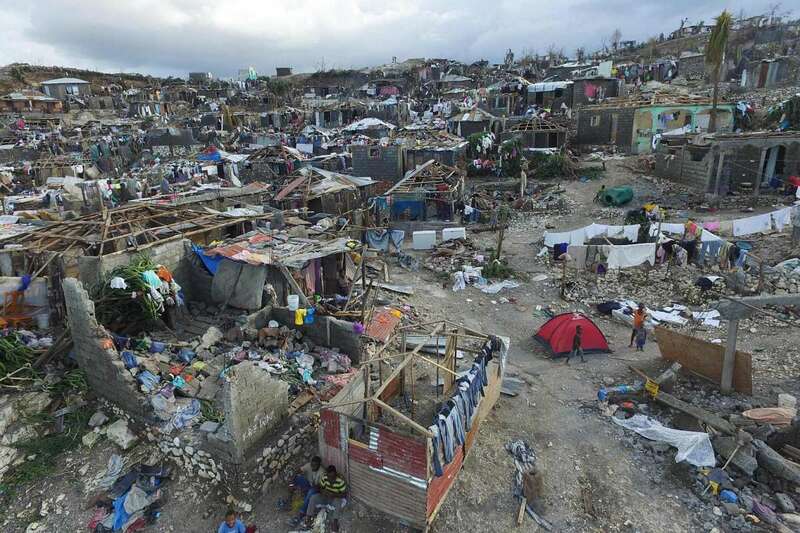 The government of Haiti estimated that 250,000 residences and 30,000 commercial buildings had collapsed or were severely damaged. On January 22nd the United Nations noted that the emergency phase of the relief operation was drawing to a close, and on the following day, the Haitian government officially called off the search for survivors. Give Clean Water was just a little over a year old as a non-profit, but people wanted to know if we would have a response. After a series of phone calls and coordinated efforts, Give Clean Water, Newbreak church, and Behr Paint mobilized 3,000 Sawyer water filters and 3,000 buckets to be distributed through the Convoy of Hope relief effort that helped over 30,000 people! That was a powerful expression of God's love to the people of Haiti. A year ago, Hurricane Matthew battered the South side of Haiti causing damages equivalent to 32% of GDP. A third of the hospitals were affected and 500 schools were destroyed. In addition, there were losses to agriculture, fishing, and livestock which will have a long-term impact on the affected areas. Tomorrow night, I will board a flight from San Diego to Miami, and then to Haiti as part of a Cholera reduction study between Sawyer and Water With Blessings. I'll be helping them set up their GIS data collection processes so they can quantify the elimination of Cholera in the villages that will receive water filters. I've never been to Haiti before, although I know many people who have. 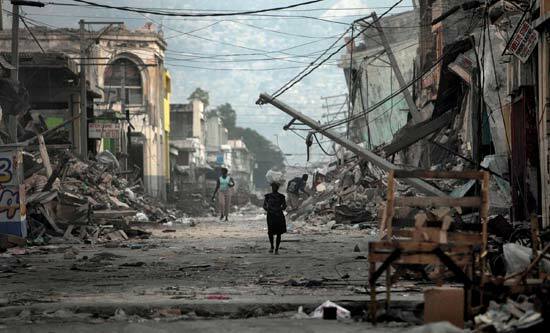 Haiti remains the poorest country in the Americas and one of the poorest in the world with a GDP per capita of $846. 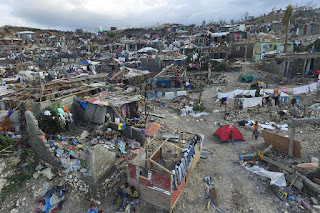 As reported by the World Bank, more than 6 million out of 10.4 million (59%) Haitians live under the national poverty line of US $2.41 per day and over 2.5 million (24%) live under the national extreme poverty line of US $1.23 per day. What will I see? What will I feel? What will I learn? 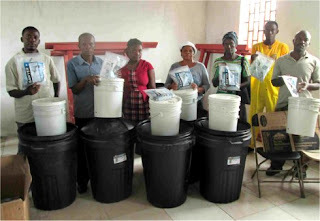 I know we'll be visiting villages that have recently experienced Cholera outbreaks but don't worry, as Cholera is a water-borne disease and we will be traveling with our Sawyer filters that will keep us safe. That said, I really have no idea what to expect. My experience will unfold LIVE in the moment and I'm going to do my best to take you along for the ride and share my experience. Stay tuned! Brussels - So much to see. A day is not enough.